Kristen Stewart in Snow White dress September 28, 2011. Kristen Stewart in Snow White dress September 28, 2011. Wallpaper and background images in the Snow White and The Huntsman club tagged: snow white and the huntsman kristen stewart cast snow white 2011 set dress costume. 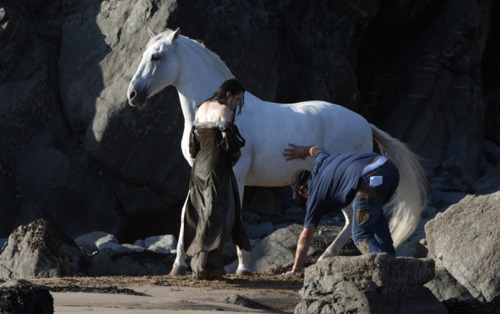 This Snow White and The Huntsman photo contains lippizan, lipizzan, and lippizaner. There might also be sentier équestre, randonnée équestre, wrangler cheval, wrangler, wrangler à cheval, and cheval de wrangler.